The NTSB release says it took this action of removing Tesla from the Model X crash investigation (see Model X post crash video) "because Tesla violated the party agreement by releasing investigative information before it was vetted and confirmed by the NTSB. Tesla, on the other hand, says they "chose to withdraw" from the agreement. There is an active discussion on Reddit on this subject in which Tesla enthusiasts and interested people make number of conclusions. A user named hkibad writes an illustration of what may have happened. NTSB: Stop saying things publicly. NTSB: You are kicked off the probe. Tesla: We knowingly made a decision that could get us removed, so in effect, I withdrew. To be fair, this conversation may have not taken place. Some people say Tesla was kicked off. Others say Tesla withdrew. I think Tesla effectively withdrew when they made their statement. They knew that the statement was not in line with their agreement with the NTSB, and would know this would happen eventually. 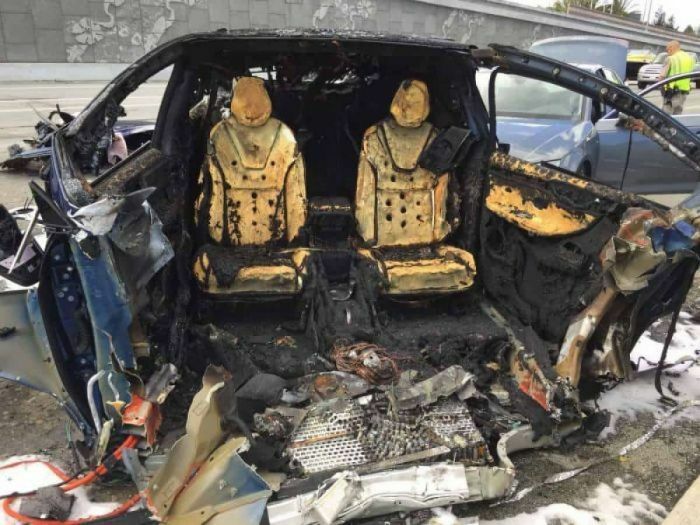 But before you read on, also read John Goreham's story from Torque News on this subject, titled "NTSB Report Eerily Predicts Tesla Model X Autopilot Fatality 6 Months In Advance." Let our readers decide for themselves reading both statements. What do you think? Please share your thoughts in the comments section below. WASHINGTON (April 12, 2018) — The National Transportation Safety Board announced Thursday the removal of Tesla as a party to the NTSB’s investigation of the March 23 fatal crash of a 2017 Tesla Model X near Mountain View, California. Update: Tesla Model Y Will Have a More Advanced Computer Than The Current Autopilot.